How to Get Your TollFree Number? A Toll free number is a convenient way for customers to contact company or business without being charged. A tollfree number can help to boost your business by offering a free medium for users to communicate with you. There are some providers are available in India who offer 1800 numbers with a variety of plan options. In this article, we will discuss about how to get toll-free 1800 number set up. An 1800 toll-free number doesn’t cost the caller anything, but will charge you by the minute. It is very useful for businesses. An 1800 number allows users to call from anywhere in the country, or even the world. It gives a permanent presence to your business. A toll free number is mainly important for business that spend more time on the phone with users. So, letting customers place their calls for free can be very beneficial for you. A personalized & vanity toll-free 1800 number can make your business look more professional. If you are looking for an 1800 number, you must check that your existing service provider is offering tollfree service or not. You may get a better deal with your current service provider. You may also contact to other service providers. There are a some reputable toll free number providers available in India which are able to give you toll-free numbers. You will get best service & support. Every service provider offers different prices and plans. Some companies require a minimum monthly payment that includes number of minutes, while others simply charge per minute. Incoming calls from different regions will cost differently. So, you need to compare price & plans before choosing any service provider. You have to make sure that what services are offered by service provider. Some companies offer additional features such as voicemail, caller ID, virtual receptionist, call routing and many more. Make sure that there are no hidden charges. Select package that best suits your business’s needs and budget. Once you’ve selected your package, contact the service provider and set up your account. Choose the package that best suitable for your business needs. Choose a number which is easy to remember. Some companies offers great flexibility in number choices. After signing up, your toll-free number will be activated just in few minutes. You can forward your toll-free number to existing landline phone lines or mobile number. 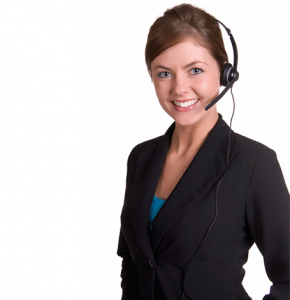 You can being available to take calls, will improve customer satisfaction.